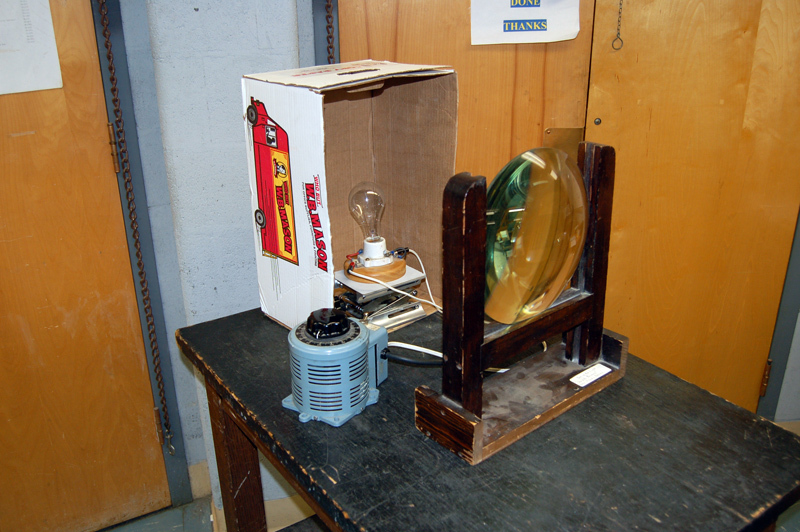 Description: This demo projects the filament of a light bulb onto the screen using a plano convex lens. Place the jack stand inside the box. The box is used to shield students from the bright light. Connect the VariAC to the light bulb. Place the light on the jack stand. Align the lens in front of the bulb. Focus the image on a screen or wall at the other side of the room. Slight adjustments to the lens may be needed to get a good image. 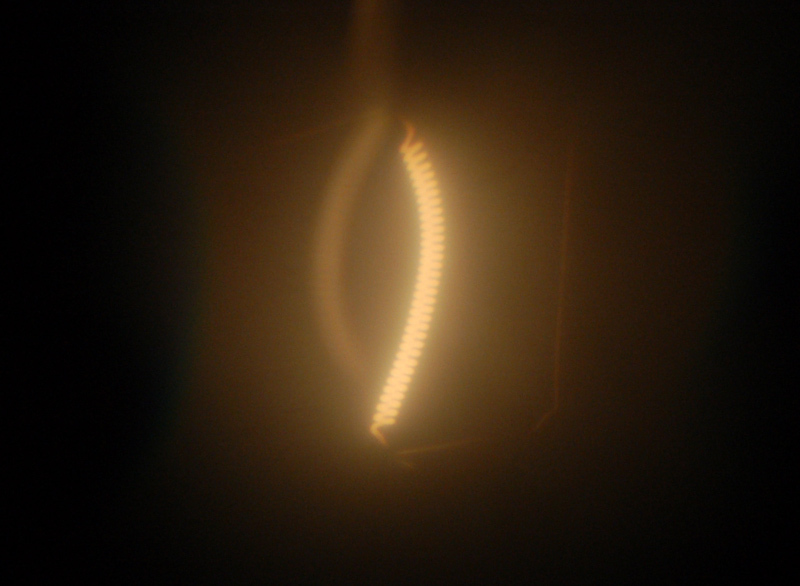 Note the projected image of the light bulb filament. Use 2 large plano convex lenses instead of one. Focus the image on the screen again. Using the cardboard apertures, you can show what happens when you limit the amount of light through the lens with different apertures. Using a cardboard square, block the bottom half of the outer lens. Note that the full image is still present. Repeat with blocking the top half of the outer lens.